It wasn’t the ripest truffle in the world – still only whitish brown inside – but it had a good perfume, and its effect on pizza was remarkable – so impressive that my wife, who normally professes to dislike truffle, was moved to comment on how delicious it was. And it was exquisite. We were hosting lunch for a gobble of local chefs who had just been to see the truffle being unearthed. They brought the pizza dough and toppings, Gavin and Chris, the truffiere owners, donated the truffle, Wilma brought two cases of wine (Cracroft Chase Pinot Gris), and I fired up the oven. Add to the equation a chef with considerable pizza skills (thanks, Nick! ), and we had some stunning food. There are two possible approaches to truffle pizza. You could make the pizza, and then shave truffle on top – perhaps the only way to do it with Tuber magnatum (Italian white truffle), or you could put the truffle onto the pizza base and then cover it with cheese, so that the flavour isn’t boiled away in the heat of the oven. 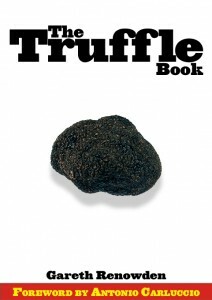 We used both methods, but the better – by far – was the “cooked” truffle. A wood-fired oven cooks pizzas really quickly – in two or three minutes when its at its hottest. Nick did a version of pizza bianca, shaving the truffle onto the pizza base (lightly brushed with olive oil), and then covering it with a generous helping of fior de latte mozzarella and thin slices of cooked potato. When it came out of the oven, the truffle flavour had worked its way into the cheese and into the base – not overwhelmingly strong (because the truffle wasn’t), but a wonderful accent to the crisp base, molten cheese and crispy potato.